Your requests and e-mails, a new Time Capsule Contest, and a special tribute to the 1980 Spirit of Atlanta. 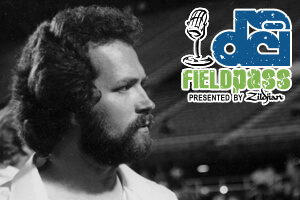 It's all in today's Friday Fun-N-Games edition of the Field Pass presented by Zildjian. Download and listen. (MP3, 19:50, 18.1 MB) Have a Field Pass question, comment or request? Leave a message for Dan Potter by phone at 317.275.1212 x40 or by e-mail at fieldpass@dci.org. Subscribe to this podcast through iTunes. Become a fan of the Field Pass on Facebook. Visit Zildjian.com. Field Pass archive.